Annie is in her last year of junior high school and will be transitioning to senior high school next year. 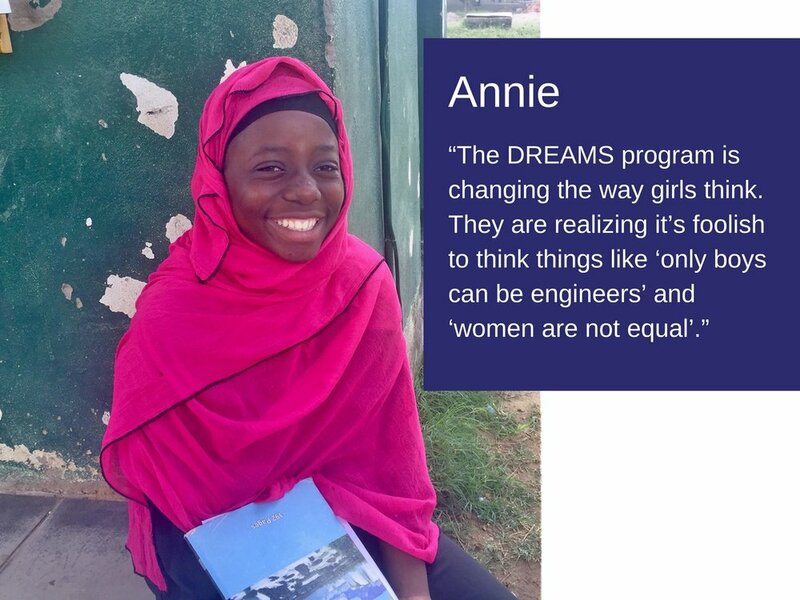 Ever since she got the DREAMS scholarship, she has believed more in herself and her ability to succeed. "If it had not been for the DREAMS scholarship, I would have been on the streets because I had no one to take me back to school. Since I became a DREAMS scholarship recipient, my life has changed. I am now able to go to school, and they are providing for me everything needed--for example, paying for my school fees, buying books, a bag, shoes, uniform, pads and everything needed for school."